I have a new must-eat-at destination in Santa Barbara Wine Country. On a recent weekend trip, I went to The Bear and Star, located in downtown Los Olivos and fell in love. 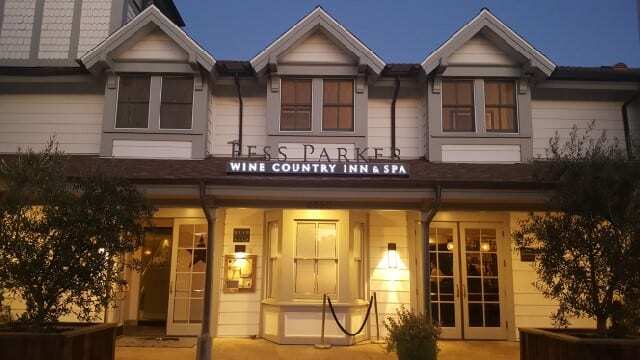 Located inside the Fess Parker Wine Country Inn & Spa, The Bear and Star is a the project of brother and sister duo Eli Parker and Ashley Parker-Snider of Fess Parker Winery, in partnership with Chef John Cox (formerly of the Post Ranch Inn). 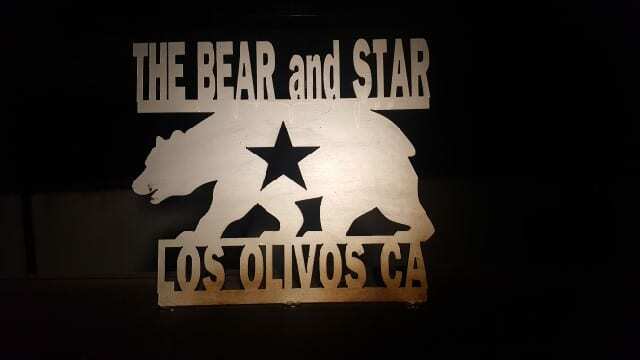 The name The Bear and Star pays homage to their father Fess Parker who was born in Texas (Star) and lived in California (The Bear) where he was an actor (Davy Crockett, Daniel Boone) and then created Fess Parker Winery. The Bear and Star offers refined ranch food in a warm and inviting space. The style is rugged elegance with plush over-sized chairs, ranch-style pillows and rugs, dark wood tables and leather accents. Large wooden sliding doors, which look like barn doors, separate the bar from the dining room. 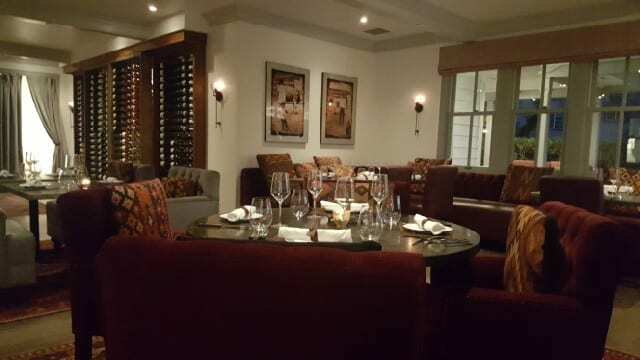 With the fireplace roaring and the cow’s skull hanging above it, it felt more like being in someone’s home.The staff is personable, attentive and well-educated about the food and the wine. The homage to Fess Parker is reflected in the menu which showcases the ranch-style cuisine of Texas paired with the fresh, local seasonal ingredients of California. The Bear and Star is also a farm-to-table dining experience. The nearby Fess Parker Home Ranch in Foxen Canyon is a 800-acre ranch that is home to the vineyard as well as an organic garden with vegetables and fruit and Wagyu cattle, chicken, rabbits, pigs and bees. The food on the menu is almost entirely sourced from their farm. 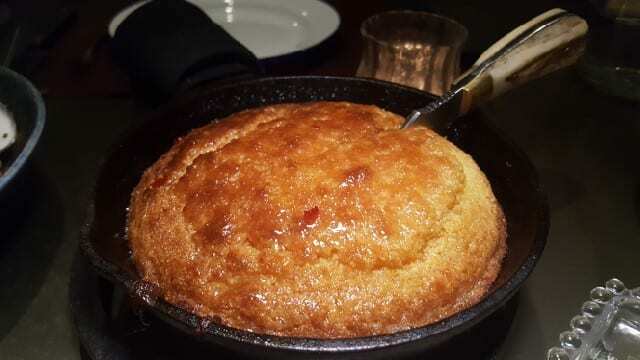 Every meal at The Bear and Star should start with the Cornbread, and if you arrive after 5pm, it will. The cornbread is cooked with a little pork fat and is topped with hot chili glaze and brown sugar and served in a skillet. It is so good that you will probably fill up on the cornbread but still keep going. Delicious by itself, it is an entirely different experience when you add the butter. 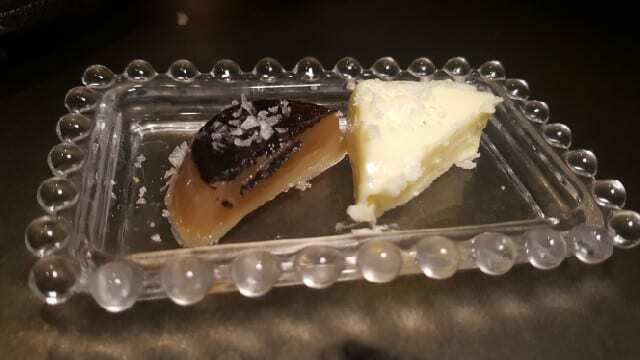 You are given two choices – salted butter and caramelized butter. Pure heaven! The menu is filled with lip-licking comfort food. 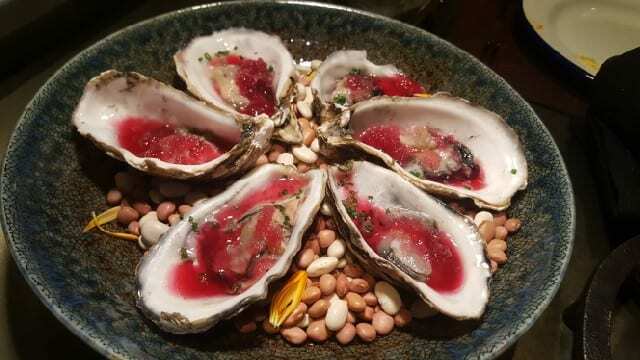 The Daily Oysters come with pink peppercorn and mignonette granita. Our oysters were Pacific Gold from Morro Bay and while I typically eat my oyster plain, I loved the tart and bright granita that let the oyster shine through. 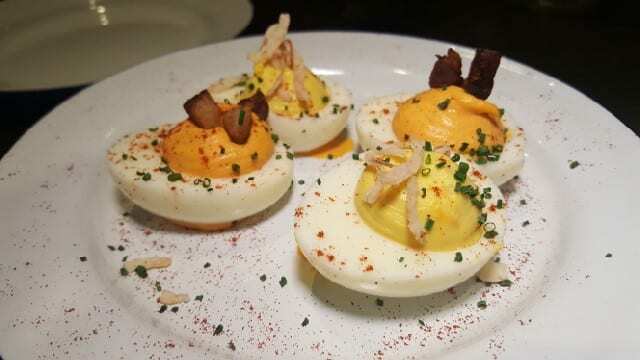 The Deviled Ranch Eggs come in two styles – guajillo and bacon lardons or classic. 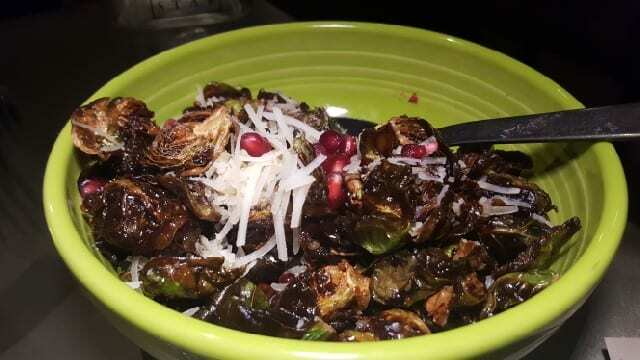 The Crispy Brussels Sprouts are exactly what they promised – crispy! Topped with pomegranate, molasses and Parmesan cheese, they are sweet and savory and definitely something to order. The Roasted Carrots & Apricot Mustarda are a side dish and was a new addition to the menu. 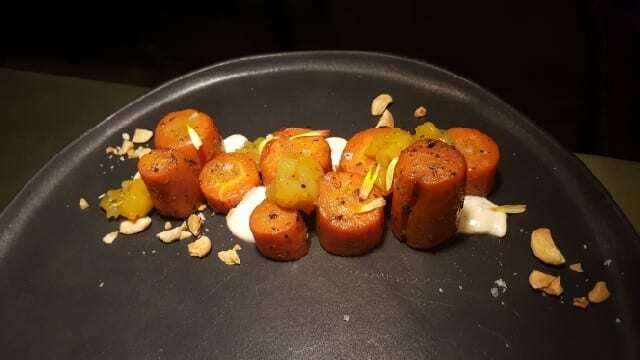 In addition to the apricot mustarda, the sweet, earthy carrots are served with nuts and a crema made from sour cream, ancho chile and lime. 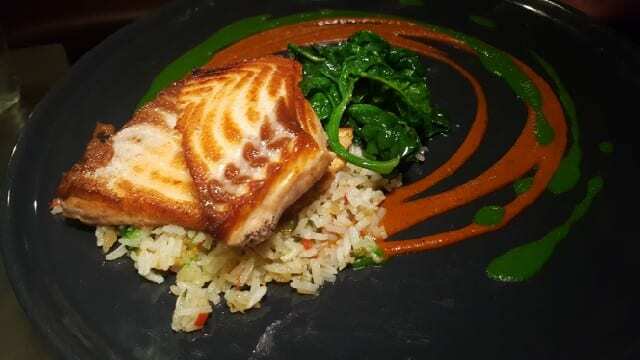 The Blackened Steelhead with romesco, parsley, dirty rice and sauteed spinach was cooked to perfection. The fish was delicate and almost melted in the mouth. We were too full to order any of the meat dishes but next time I plan to order the Parker Ranch Chili and the Wagyu Beef Burger. All of the meat (beef and lamb) is raised on their ranch and dry-aged in-house. 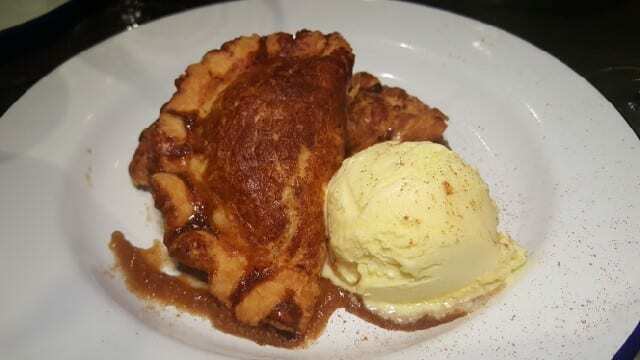 For dessert, we selected the Mini Apple Pies, two hot little apple pie pockets served with rich vanilla ice cream. 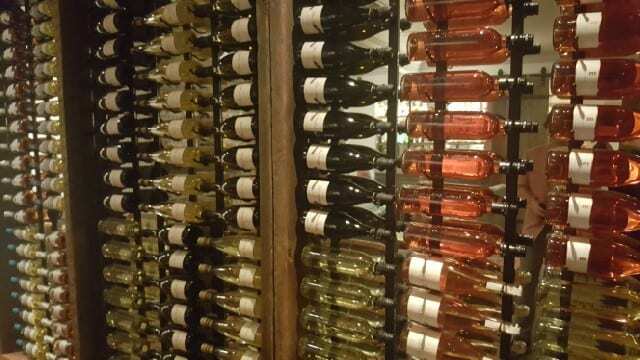 I was impressed with the wine list, which is perfect for both visitors and locals. The list has a strong selection of Santa Barbara wines but also has a creative list of international wines from Italy, France and more. 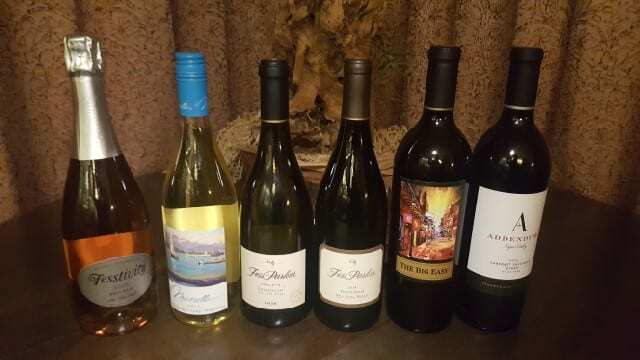 Of course, all of the Fess Parker wines are also on the list and that is what we enjoyed with our meal. We started with the Fessitivity Brut Rose, Sta Rita Hills, a small-production, method champenoise sparkling wine that is fresh with mineral notes. The delicate Marcellas 2015 Grenache Blanc, Marsanne, Viognier White Wine is very linear on the nose with lime and green apple notes and on the palate, the soapy floral notes of Viognier come through. The Fess Parker 2015 Ashley’s Vineyard, Chardonnay, Sta. Rita Hills with notes citrus, white peach, apple, vanilla and baking spices was a lovely pairing with the roasted carrots. The Fess Parker 2015 Pinot Noir, Sta. Rita Hills has classic notes of sour cherry, cranberry and dust and paired nicely with the Blackened Steelhead. We also tasted the Fess Parker 2015 The Big Easy Syrah, Santa Barbara County which has big fruit aromas but is rather light on the palate with low acid, low tannins and a quick finish. For a bigger red wine, try the Fess Parker 2014 Addendum Cabernet Sauvignon/Syrah, Stagecoach Vineyard, Napa Valley with its aromas of cedar, sweet tobacco, black fruit, blackberry and black cherry. 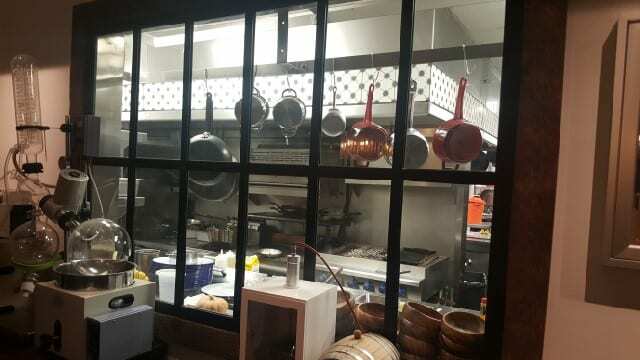 Be sure to peek into the Chef’s Room, where you can look into the kitchen and watch the chefs work. But what is in the Chef’s room will amaze. There is one wall filled with cook books and wine books and another wall filled with pickling jars. 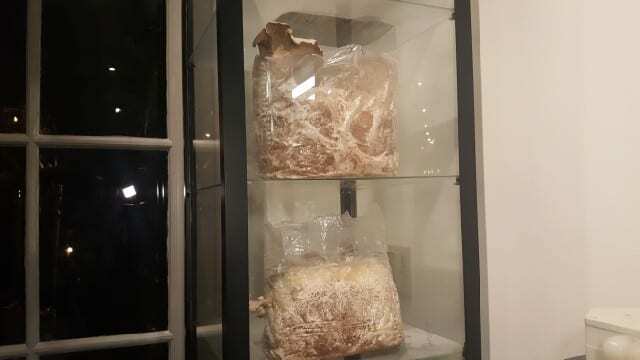 There is a dry aging fridge where the meat is kept and a shelf where they are growing oyster and shitake mushrooms. There is also an ultrasonic homogenizer and a rotary evaporator. 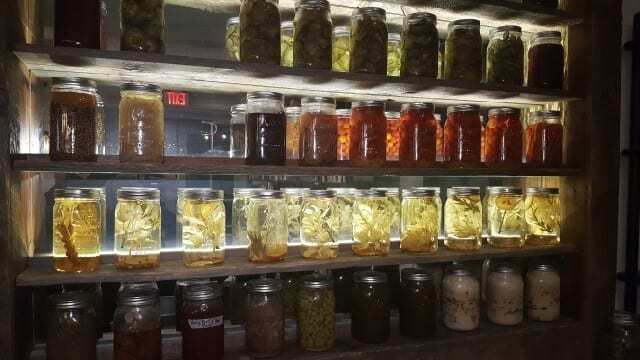 In addition, they cure, ferment, smoke, dry cure, pickle, distill, homogenize and make bitters all in-house. There is nothing they do not do at The Bear and Star. 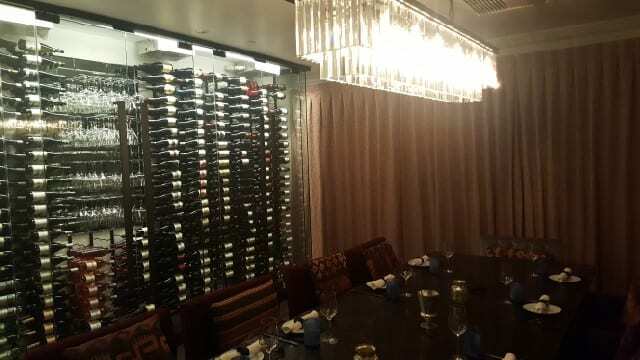 There is also the private Wine Room that is hidden behind a wall of 200 bottles of wine. The Bear and Star offers refined ranch cuisine in a modern yet warm and rustic environment and I cannot wait to go back! This entry was posted in Food, Wine and tagged Chef John Cox, Fess Parker Inn, Fess Parker Wine, Fess Parker Wine Country Inn, food, Los Olivos, The Bear and Star by Allison Levine.